Essay on “Recycling and The Cost Factor ” Complete Essay for Class 9, Class 10, Class 12 and Graduation and other classes. Home » Languages » English (Sr. Secondary) » Essay on “Recycling and The Cost Factor ” Complete Essay for Class 9, Class 10, Class 12 and Graduation and other classes. The natural resources will not last forever, eventually everything comes to an end and the end is very near with the depletion of natural resources. People dispose lots of stuff, and simply do not care. Recycling is a way to reuse stuff. This technique seemed quite successful at the beginning, until its true identity appeared. Recycling has been very useful specially that man is continually consuming, burning up, wearing out, replacing and disposing at an alarming rate. Unfortunately recycling has proven that it is quite costly even if recycling of wastes material solves the problem of garbage disposal at landfills, and saves resources. It involves large hidden costs in collecting, sorting and manufacturing; therefore, it is necessary for the government to overcome such problems of recycling to be worthwhile and for manufacturers and consumers to consume less. Recycling has proven its efficiency in solving the problem of garbage disposal at landfills. Consider burning, as an alternative is not very advantageous. The burning process pollutes the air in the area around it. It is like solving one problem by creating another, which is air pollution. Burning process creates a number of pollutants, which poisons the air. Carbon dioxide and lead are by products of burning, which are considered highly toxicating. Besides that, carbon dioxide is considered one of the main reasons of global warming and creates the green house effect. Acrylic type plastics emit HCN gas, Bromine components that are added to plastics results in the emission of HBr, which are all dangerous pollutants. Though these are some advantages to the environment but recycling costs more than anybody could imagine. The process of recycling goes through many phases. First there is collecting and sorting of garbage and then is manufacturing and marketing. The garbage must be first collected in proper manner. The sorting process entails lots of manpower and tools, both of which are very expensive. The garbage cannot simply be all put into one big machine and then “boom” we have recycled material. No, every kind of material must be put separated and then fed into big recycling machines. Manufacturing and marketing is the second phase in this process. Factories, which can produce recycled product, are quite expensive plus it takes time because the latest technology must be applied in there. These factories are generally designed for producing from raw material; needs “retooling” so as to process recycled material, which is very expensive. For example Union Carbide Inc., one of the nation’s major supplies of plastic, had to spend heavy cost on building a factory that would recycle plastic bottles it had produced. Another disadvantage of recycling which makes it unviable is that for manufacturers economically the recycled material is not highly demanded, it’s quality is not as good as that of original material. So if marketing of recycled products is not economically worthwhile, then the whole process of recycling cannot be economically efficient. Manufacturers cannot be motivated to recycle if their recycled products are not demanded. Recycledpaper faces four main obstacles, pathetic marketing for mixed paper, recycled paper is of lower quality than Original Paper in some uses, cannot be used for long and finally photocopy, laser-printed paper hard to de-ink. It is not as good as using the original material thus having low quality and less durability. Most of the recycling organizations are non- profit organizations. Still it is expensive to use recycled material that is because the recycled material costs much. The government must have a role in all this; its role is to prevail over such problems. What we need is a program, which is cost efficient and saves energy. The government should create the suitable conditions to encourage recycling programs and help in preserving the environment. Imagine that every time someone throws a piece of paper in the garbage is similar to a person cutting a leaf off a tree. This is what happens when one does so, so recycling was the smartest way to solve such a problem for the time being. Essay on “Travails of Living in Delhi” Complete Essay for Class 10, Class 12 and Graduation and other classes. Essay on “Environment Pollution” Complete Essay for Class 10, Class 12 and Graduation and other classes. Essay on “AIDS: the sure and silent killer” Complete Essay for Class 10, Class 12 and Graduation and other classes. Essay on “The Power of Ambition” Complete Essay for Class 10, Class 12 and Graduation and other classes. Essay on “A Drowning Tragedy” Complete Essay for Class 10, Class 12 and Graduation and other classes. Essay on “Patriotism – Love of One’s Country” Complete Essay for Class 10, Class 12 and Graduation and other classes. Essay on “News Paper” Complete Essay for Class 10, Class 12 and Graduation and other classes. 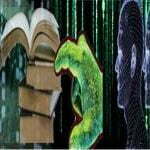 Essay on “Computer and Its Uses” Complete Essay for Class 10, Class 12 and Graduation and other classes. «Essay on “Aristotle” Complete Essay for Class 9, Class 10, Class 12 and Graduation and other classes.